Major updates were announced at Florida’s largest theme parks this month as Universal Orlando and SeaWorld published new details about the latest attractions coming to their respective parks while Walt Disney World announced the launch of Star Wars Galaxy’s Edge and another increase in ticket prices. 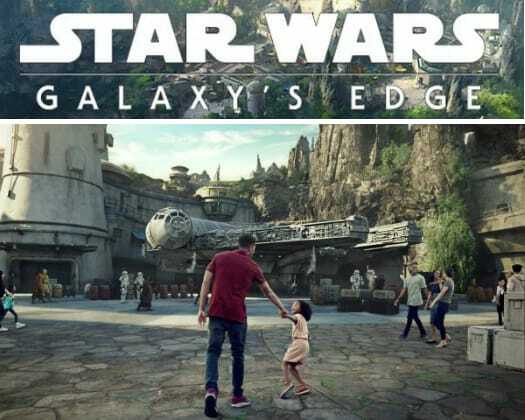 Star Wars’ Galaxy’s Edge will open August 29 at Disney’s Hollywood Studios. At Disney, park guests who wish to add the Park Hopper to a one-day theme park ticket now must pay to $60 instead of $55, while two and three-day tickets also increased by $5 each. The out of pocket impact on date-based ticket price increases means a one-day, single park ticket can cost between $109 and $159. The ticket calendar on the official Disney World website shows a one-day ticket costing $139 on select days in March and April, during the Spring Break season. Later in the year, the same ticket costs $159 for use during the holidays, from Christmas Day to New Year’s Eve. SeaWorld and Universal both announced opening dates of new attractions future guests may enjoy at their respective parks. SeaWorld’s Sesame Street opens March 27. Another addition, “The Today Cafe” was inspired by the “Today Show” and will feature a setting Universal describes as a “highly-themed environment designed to feel like stepping onto the iconic Today show set along with specialty food and beverage options. Below is Universal Orlando’s description of the cafe. “NBC’s Today informs, entertains, inspires and sets the agenda each morning for Americans. Now, guests of Universal Orlando will have the chance to start their day with America’s number-one morning show and be part of the Studio 1A experience every time they visit. Guests can step into a venue inspired by the show – complete with stage lighting and vibrant orange theming – and catch up on top headlines from Today’s live broadcast, all while refueling for more theme park thrills. The Universal Creative team behind world-class attractions and Universal’s award-winning culinary team are partnering closely with Today. The anchors of the show–Savannah Guthrie, Hoda Kotb, Al Roker, Carson Daly, Craig Melvin, Kathie Lee Gifford, Sheinelle Jones, Dylan Dreyer, Willie Geist and others–helped to inspire the one-of-a-kind experience that can only be found at Universal Studios Florida.